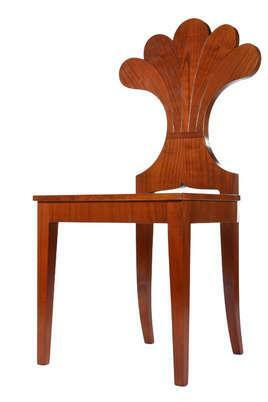 Flower-chair in Viennese Biedermeier style with five-part flower, mortised and glued. Hard wood seat with inlaid veneer. Charming construction of solid wood, backrest with 2,5 mm thick veneer veneered, stained and with silky gloss varnishing.